Japanese student sporting an all over leopard print look with furry jacket, Supreme sweatshirt, tights, black books and a furry pink sling bag. 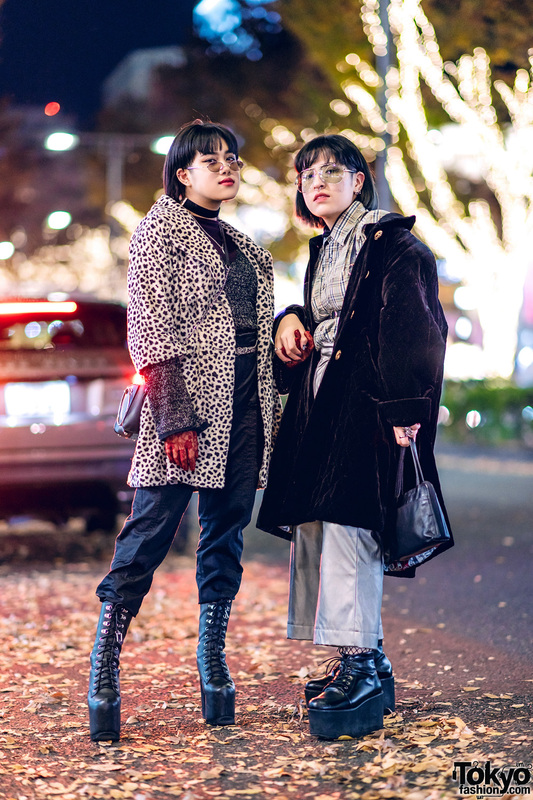 Harajuku girls dressed in printed winter streetwear ensembles while out and about one fine evening. Harajuku girls clad in colorful kimono fashion with mixed prints while out and about on the street one afternoon. Harajuku girls sporting chic black streetwear styles while out on the street one fine evening. 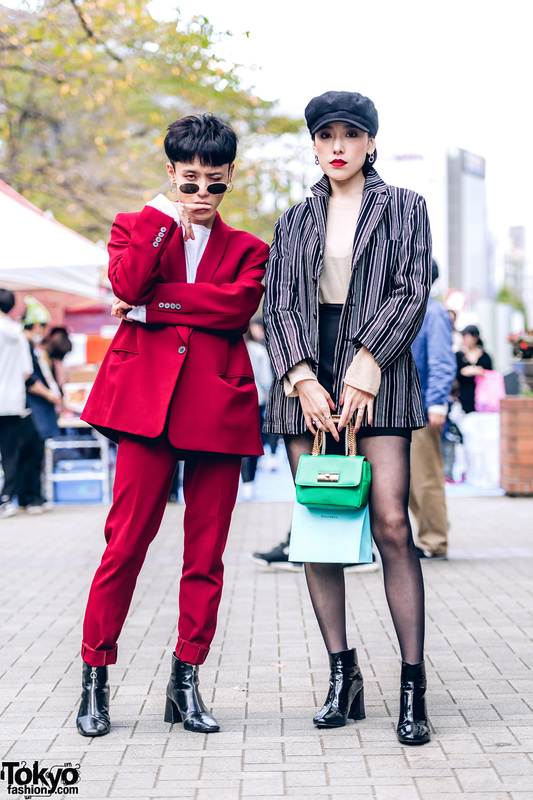 The Symbolic Tokyo designer S,you and Model Emu on the Harajuku street with their stylish streetwear ensembles. 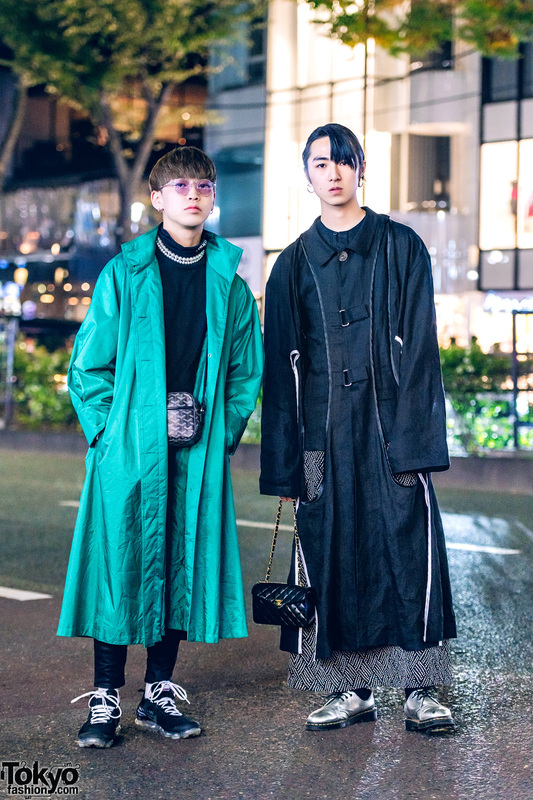 Harajuku guys sporting sleek menswear styles while out and about on the street one evening. Harajuku teens in denim and monochrome prints while out and about on the street one evening. A group of popular streetwear personalities in Harajuku sporting avant-garde and statement streetwear ensembles while out and about. Harajuku couple sporting striking black and pink ensembles while out and about on the street.